Area Risk Protection Insurance, or ARPI, is an insurance plan that provides coverage based on the experience of a county. ARPI includes Area Revenue Protection (ARP) which replaces the Group Risk Plan (GRP), Area Revenue Protection with Harvest Price Exclusion (ARPHPE) which replaces Group Risk Income Protection - Harvest Revenue Option (GRIP-HRO), and Area Yield Protection (AYP) which replaces the Group Risk Income Protection Plan (GRIP). It is designed to increase efficiency by providing one set of policy provisions for all area plans and uniform pricing methods for area and individual-based plans. ARPI includes crop provisions for corn, cotton, forage, grain sorghum, soybeans and wheat. Coverage for barley and peanuts is yet to be determined. 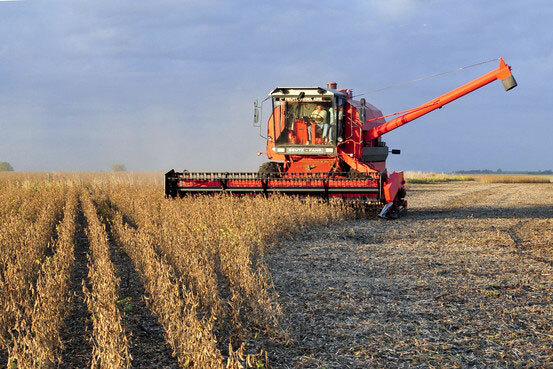 Area Revenue Protection (ARP) covers against loss of revenue due to a county level production loss, price decline, or combination of both, and includes upside harvest price protection. Area Revenue Protection with Harvest Price Exclusion (ARPHPE) covers against loss of revenue due to a county level production loss, price decline, or a combination of both. This coverage EXCLUDES UPSIDE harvest price protection. Area Yield Protection (AYP) covers against loss of yield due to a county level production loss. An insured may elect different coverage levels and/or protection factors for each irrigated practice for each Practice/Type available in actuarial documets. If the insured does not elect different coverage levels and/or protection factors, the coverage level and protection factor for the crop will apply to all Practice/Types of the crop. ARP coverage levels are available from 70-90% (in 5% increments). Catastrophic Risk Protection (CAT) coverage is not available for ARP or ARPHPE. AYP coverage levels are available from 70-90% (in 5% increments). CAT coverage is available at 65% coverage level and 120% protection factor. The producer may select a separate protection factor of 80-120% for each crop, type and practice. ARPI uses the CEPP (Commodity Exchange Price Provisions), so crops will use the same prices as those insured under the Common Crop Insurance Policy (CCIP) Basic Provisions. ARPI has provisions requiring the insured to report production by a production reporting date. Production is to be reported at the conclusion of the current insurance year. Production is required to be reported in 2015 and succeeding crop years. If 2015 production is not reported, the lowest protection factor available will apply for the 2016 crop year. The coverage unit is all acreage of each separate type and practice of the crop in the county.